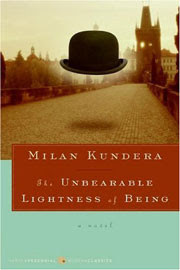 I have recently finished reading The Unbearable Lightness of Being by Milan Kundera. Being a Russianist, I have repeatedly come across this book, but only now got around to reading it in full. My first reaction is this: totally swept me off my feet. I couldn’t put the book down. I read it inside a week, which is quite a feat for a MA student (Needless to say, there were many other tasks I should have been tackling…). I do not consider myself a romantic and this book is all about love of one kind or another. However, Kundera managed to hold my attention without causing me for a single moment to turn away for cheesiness or shyness. The book even made me nervous, as a monogamist, about the frequency of infidelity in our present world. In my mind, there is no doubt as to why Kundera’s novel has made waves in both the literary and academic worlds (so entwined as they are). Kundera forces the reader to grapple with meaning in one’s life. Though the heaviness of burden gives meaning to life, that life may remain empty and alone. The incredible lightness of being may entail freedoms and pleasures, but, as with heaviness, remain absolutely insignificant. And so, I would certainly recommend this book. It is undoubtedly one of my favourite reads as yet. 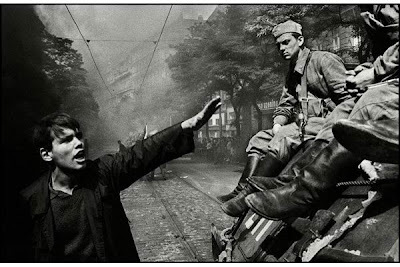 Milan Kundera was born in Prague in 1929, thus experiencing World War II as a teenager. 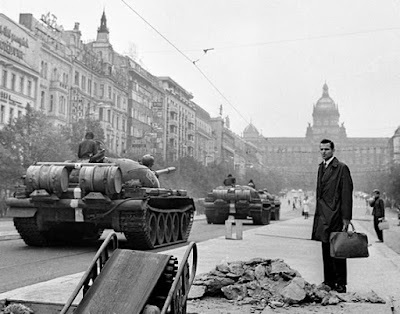 He studied literature and then film at Charles University in Prague and was a believer in communism. He was expelled from the Communist Party for anti-communist behaviour in 1950, but was permitted to continue his studies. He graduated in 1952 and began lecturing at the University. 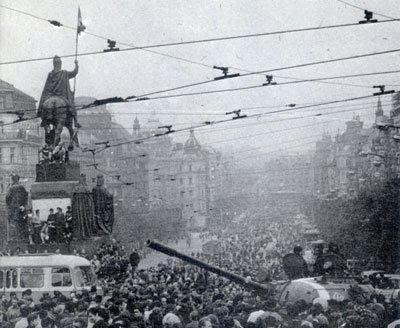 Though he was re-admitted to the Party in 1956, he was again expelled in 1970 due to his involvement in the Prague Spring as a communist reformer (not an anti-communist). 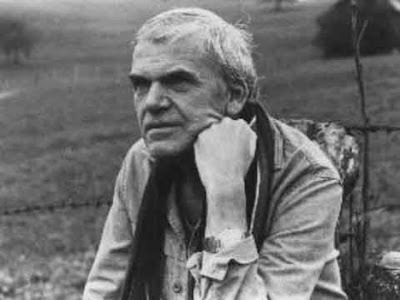 Eventually, Kundera moved to France in 1975, being encouraged as a dissident intellectual to leave Czechoslovakia by the regime, becoming a French citizen in 1981. The Unbearable Lightness of Being, written in 1984, is considered his most famous work. Kundera draws on the philosophy of Nietzsche, contrasting the heaviness of burdens as a life fulfilled with the absence of burden, being lightness, as a life free, but insignificant. 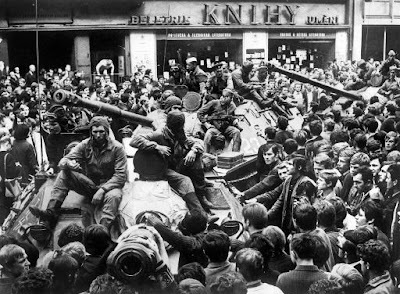 This is a story of two lovers, Tereza and Tomas in the time period surrounding the Prague Spring. Tomas is a surgeon and intellectual in Prague, whereas Tereza was a waitress from a small village when she met Tomas. The tale also follows the life of one of Tomas’s lovers, Sabina and one of her lovers, Franz. Each of the characters represents either the lightness or heaviness of being. Lightness and Heaviness is the main theme of the novel. Each character represents either lightness or heaviness. I understood this to be the character’s personal philosophy, which dictated how that character interacted with their surroundings and life situation. Kundera, at the beginning of the novel, indicated that lightness is a free, but insignificant life, whereas heaviness is a burdened life, but one of meaning and fulfillment. However, Tereza, who represents heaviness, appears alone and empty, unable to take control of her life and find happiness. Thus, lightness and heaviness becomes a paradox. Sexuality is a prevalent theme in the novel. Sexuality and eroticism is a characteristic of the light characters, thus representing an expression of freedom. In contrast, the heavy characters experience forms of sexual guilt or jealousy, thus representing burden. 1) Language: Kundera used the beauty of language masterfully. 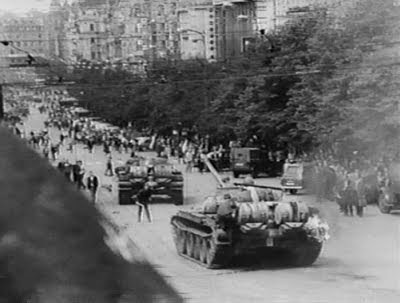 2) I loved the discussions regarding the Soviet Union, mass culture, personal identity, and national loyalty. These are all things I have studies and I appreciated the literary side of these issues. 3) Some talk on topics considered taboo. 4) Tereza, an avid reader, believes in a secret brotherhood based on books.